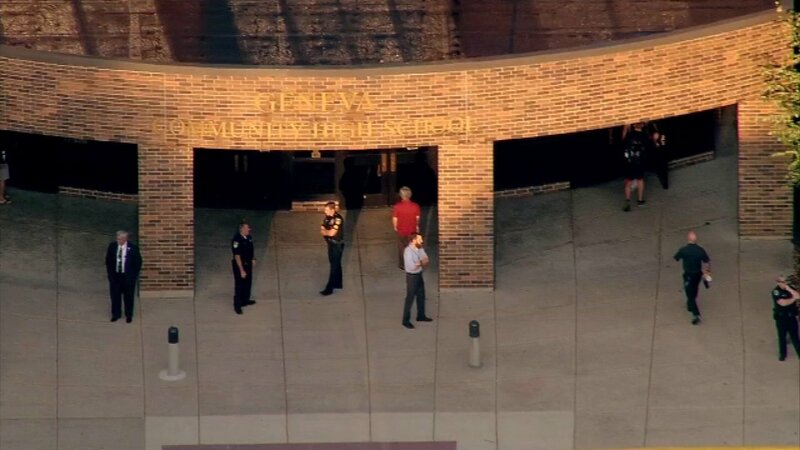 GENEVA, Ill. (WLS) -- Police officers and additional staff members stood guard in front of Geneva High School as students arrived Wednesday morning after "social media posts referencing rumors of a possible shooting" at the school, according to a statement from district officials. "At this time, both the Geneva School District and the Geneva Police Department have determined that there is no credible evidence to substantiate any specific rumor of violence at Geneva High School or any other Geneva school," the statement said. After-school activities will continue Wednesday as scheduled unless an individual coach/sponsor communicates to students about alternative plans. Students can still participate in afternoon activities even if they did not attend school Wednesday, however, the school's attendance requirement will resume Thursday. Earlier Wednesday, students were asked to be prepared to have their bags searched and IDs checked upon arrival Wednesday morning. NOTICE: Please look to our website https://t.co/DlFIgZRNcw for important information regarding GHS for today.